I've had a lot of Everybody's Brewing beers around town, mostly the Daily Bread Common Ale, Cash Stout, and the Country Boy IPA. 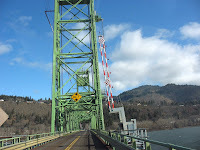 I knew they were located in White Salmon Washington as well, and knew that was just across the Columbia River from Hood River, where I have frequented Full Sail Brewing, and Double Mountain most often. 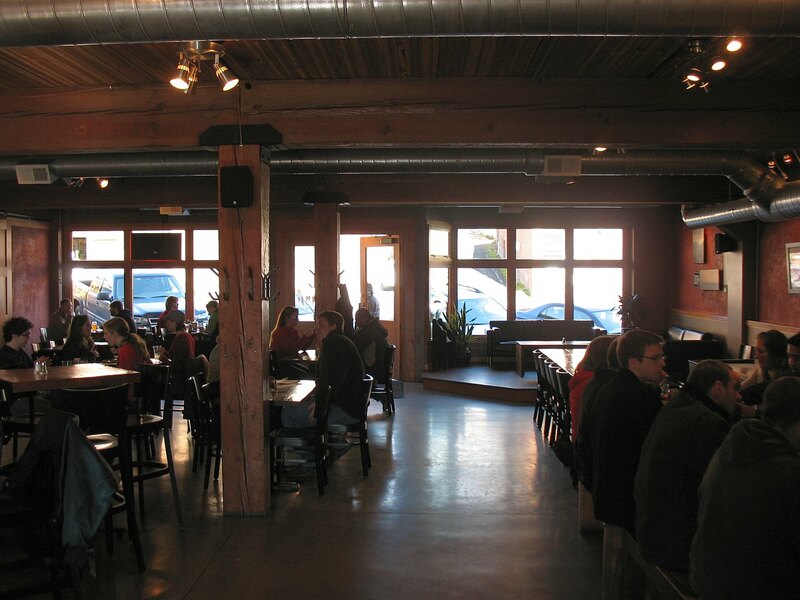 I still haven't hit up Big Horse Brewing in Hood River yet. Also a new brewery called Pfreim Brewing will open soon in Hood River as well. The Washington side of the Columbia in that area is lucky to Have Everybody's Brewing in White Salmon, and Walking Man Brewing in Stevenson, though Walking Mans hours are gauged for a later dinner crowd. I headed out early at about 10:30am with a work buddy. The trip wasn't really all that long, maybe an hour from Vancouver, WA. 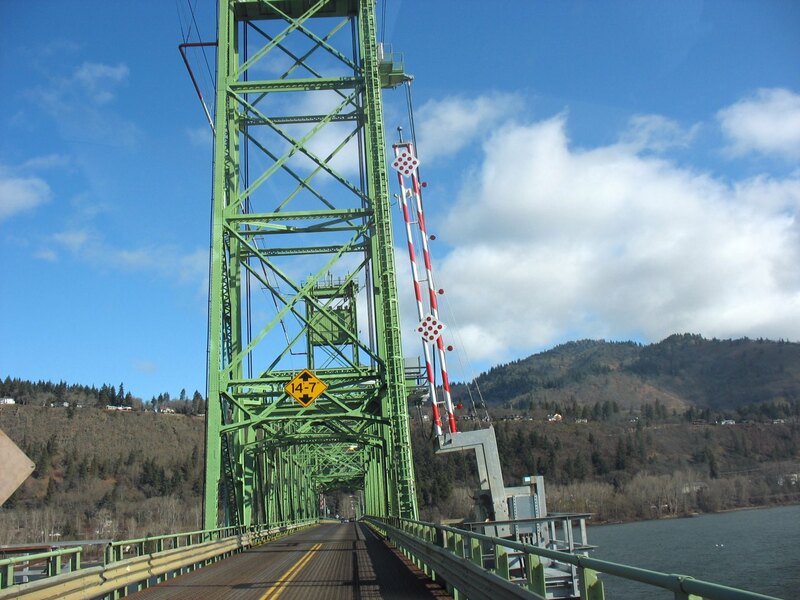 We drove up the Oregon side, though one could just as easily take Hwy. 14 up on the Washington side. We got there a bit early, and waited outside for a few minutes before they opened. Once we stepped in at 11:30am opening time, we were greeted by a very friendly staff. We took our seats, and I immediately ordered a beer sampling which was $12 for 12 decent sized samples. That was every beer they had of their own on tap. 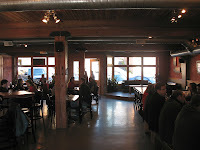 I was surprised to see a number of guest taps such as Stone, Spaten, and Rainier. The food was very good though I was kind of reserving more space for beer. We had some great chips and salsa, and my buddy ordered their well-known Mac 'n' Cheese. I of course had some of the Mac, and it was delicious. Almost a kind of alfredo sauce with many cheeses, bread crumbs.. it was just damn good. Next time out (Which will be soon) I look forward to trying the steak and cheese sandwich, and Cuban style pork sandwich which sounds right up my alley. Some seasonal beers that were on included a Weizenbock which I though was very good. Also their Winter Ale, and a smaller 4% sessionable IPA were on which was great. The light IPA was just tapped, so the server couldn't ask my question if that beer had been brewed with the second runnings of the grain. Of course their Country Boy IPA was tasting fantastic, as well as the Cash Stout... but of all the other beers, one stood out especially for me. The Bro Brah ESB was an amazing beer. I hope it is a regular because I am going back to drink much more of it, and fill a growler. I highly suggest this beer if you are a fan of ESB's. I usually am a fan, but have found it difficult to come across ones that are of this caliber. The place was clean. Very clean, and the service was second to none. Some of the beers had a bit of a diacetyl flavor to them, but thankfully not the more favored ones. The view of Mt. Hood from the patio was very nice, and the place is just solid. Right after opening, the place filled up nicely and was rather packed by the time we headed out to go over to Full Sail, and Double Mountain. I highly recommend going to Everybody's Brewing. 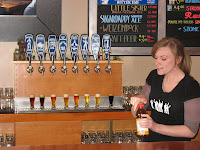 The beers are fantastic, the food is super good, and the staff are all very welcoming and friendly. One thing I especially liked was that their beers were all very light in alcohol. Many can be had without getting too tossed! It's a very small town, and is quite nice and comforting. A good get away from the hustle and bustle of the big city. It's even worth spending a night or two out that way because there is so much to see, eat, and drink. 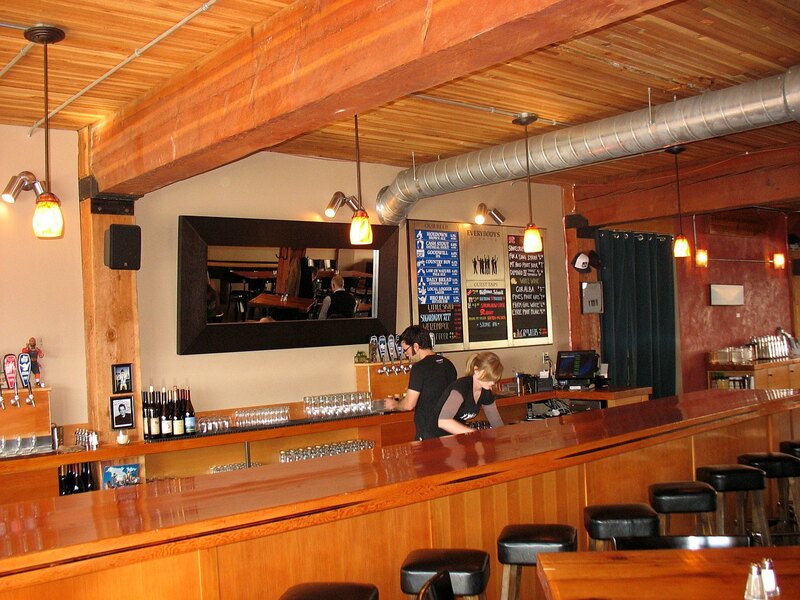 Also if on your way back to Portland, I highly suggest a stop in at the Pacific Crest Pub in Cascade Locks. 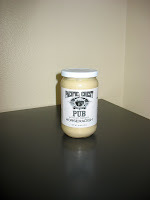 They had some great local craft beers on tap, have great food, awesome service, and they are very well-known for having some of the best horseradish around which they also sell in jars. I highly recommend the horseradish if you are a fan. It's hot stuff. Also while there I tried a glass of the Amber Ale from Mt. Hood Brewing which was really good! Nice review! I'd like to make it out there sometime. Surprised to hear about the diacetyl, I haven't noticed it in any of their stuff around Portland, though I think I'm more lenient about that than a lot of people. Maybe the tap lines at the pub? Could be.. but the place was so clean, I would find that hard to believe. It was just in a couple of their beers.. and they were beers that usually aren't found around town on tap.